As a certified ServiceNow partner, Nexthink has been committed to complementing the cloud-based IT services solutions with connectors that boost the capabilities of ServiceNow customers. 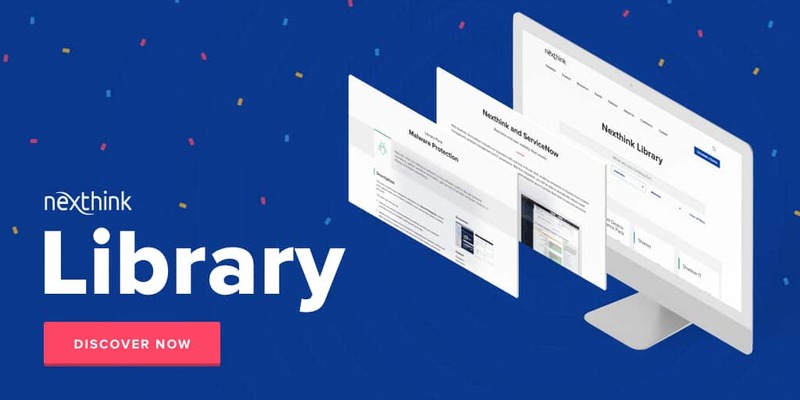 To that end, we recently announced the Nexthink Incident Management Connector to the Now PlatformTM, which enables instant remediation of endpoint incidences, faster Meantime to Resolution (MTTR), greater endpoint visibility and improved IT governance. Earlier last year, we also announced a connector featuring integration with the ServiceNow CMBD, to enable Nexthink customers to fully automate their endpoint assets’ data integrity, services and usage and automatically synchronize information from these sources so that IT has a more complete picture of the health of endpoint devices across the enterprise. What does this partnership really mean? 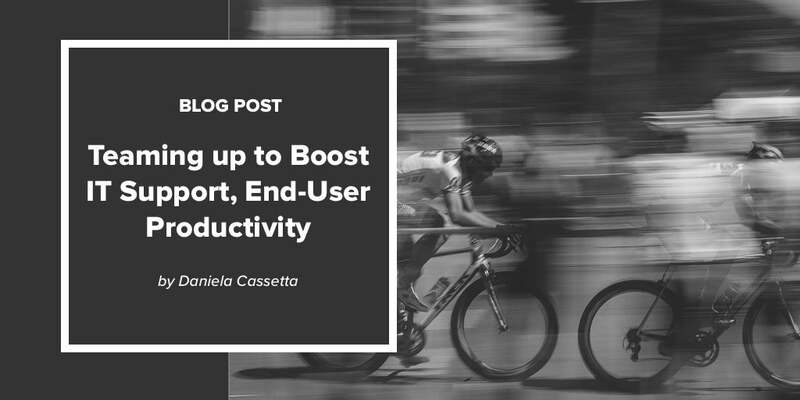 For end users, it means less time dealing with call centers, and faster resolution of trouble tickets when they are unavoidable. It also means that IT can become proactive in addressing the health of endpoint devices and break out of the break-fix mold. Our integration with ServiceNow goes to show that when companies come together to pool unique capabilities, expertise and best practices, the customers always win. 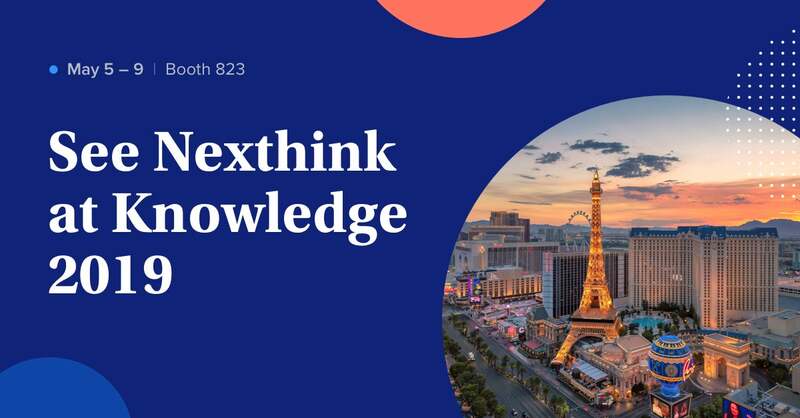 The insight Nexthink can deliver on the delivery and consumption of IT applications and services, combined with the ability for instant incident remediation, complements ITSM (IT Service Management) methodologies – the hallmark of ServiceNow’s capabilities. The best-of-breed solutions provided by the two companies address the challenges of IT support staff which needs to be more process driven and efficient, while still putting the customer first and improving their experience. They need quick and easy access to relevant information regarding impacted endpoint devices and the means to resolve them. The real-time analytics provided by Nexthink Integration enables ServiceNow help desk customers to preempt major incidents, which helps reduce the reporting of incidents by as much as 35%, predict the probable cause of problems reducing time to resolution by 60%, and be more proactive by identifying the end users who have been or will be affected by specific problems. The ServiceNow Store provides many innovative applications that enhance the capabilities of ServiceNow solutions for IT support staff customers. Through such industry collaboration and connectivity call center staff and their end users are constantly expanding their capabilities, ultimately reducing call center tickets, boosting productivity and enabling companies to get on with the real tasks of their business.